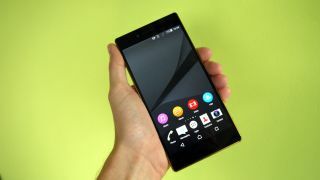 Bad news if you were planning to take your Xperia Z5 for a dip: In a change to its guidelines for the device, Sony says you shouldn't take the device underwater, and you'll void its warranty if you do. Waterproofing has long been a key selling point of the Xperia line, and the Z5 has the highest possible IP68 rating for water and dust resistance. That means it's been tested by being immersed in fresh water for 30 minutes in depths of up to 1.5 metres. However, the language used on Sony's website has changed: "The IP rating of your device was achieved in laboratory conditions in standby mode, so you should not use the device underwater," the new policy says. In other words, Sony can't guarantee that swimming and snapping photos won't damage your handset, because it didn't test the phone in every possible scenario. It remains one of the best handsets for waterproofing, however. "There are... many environmental factors which we could not assess [during testing]," explains a Sony representative in a forum post. "Therefore we recommend not submerging our Xperia Z5 in water." The updated guidelines apply to all three models of the Xperia Z5 and you can read them for yourself on the official Sony website. "You should not put the device completely underwater or expose it to seawater, salt water, chlorinated water or liquids such as drinks," it says.